For many years WWF-Australia has been supporting the Heart of Borneo Initiative, and now it is becoming increasingly urgent to promote the conservation and sustainable development of the area for Australian public. How would the area of the Heart of Borneo, equal size to Victoria state on the Australian mainland, really have impact to the whole Australians? Are people aware that their daily consumption, such as lipstick, paper and home furniture may originate from the Borneo rainforest? Are they aware that their country’s foreign investment in Borneo may suffer the local people and the rainforest? All these bring together a lot of background why WWF-Australia launched their public campaign for the Heart of Borneo Initiative, with a new Borneo section on the web (www.wwf.org.au/borneo) and Heart of Borneo Appeal (www.wwf.org.au/borneoappeal), aiming to promote orangutan conservation, sustainable forest management and sustainable community development in the Heart of Borneo area. “Our current strategic plan has identified six areas in which we would like to have the greatest impact in Australia and the Asia-Pacific region, we call it High Impact Initiatives. One of them is the Heart of Borneo,” said Paul Toni, National Manager – Science, Policy and Government Partnership of WWF-Australia. For many years WWF-Australia has been supporting the Heart of Borneo Initiative, and now it is becoming increasingly urgent to promote the conservation and sustainable development of the area for Australian public. Australian institutions, industries and consumers – through their consumer choice - have connections with and influence to Borneo. Borneo’s timber, palm oil, coal and mineral, are among important commodities for Australia. A large of Australian mining companies and financial institutions have strong interests in the resources of Borneo. “We are working to support the HoB Initiative in the three ways: ensuring strong Australian Government investments in Borneo to facilitate climate adaptation and mitigation programs; ensuring Australian business and industry involvement in the region is sustainable; and supporting on-ground species recovery projects,” Paul added. Conserving healthy forests in Borneo has a multitude of benefits. It helps to ensure that these majestic forests continue to thrive as carbon stores, climate regulators and genetic storehouses, and that they provide wildlife habitat and livelihoods for local communities well into the future. 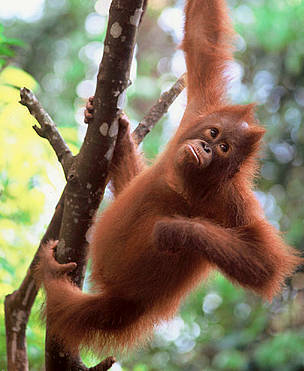 "I’ve just returned from the Heart of Borneo... The destruction that has been inflicted on this beautiful area is simply devastating – and at times quite heart breaking. Not just for the environment and animals, but for the local people that rely on the land to survive... Still, I remain optimistic. I think we can make a difference,” Dermot O'Gorman, CEO WWF-Australia stated in one video campaign. As forests of international importance and nature wonders, Australians should care about the Heart of Borneo because it is a neighbouring island that Australians rely on. Protection of the HoB has impact to Australians’ climate, reefs and biodiversity, even more beyond those scientific reasons… if Borneo’s forest products are not sustainably sourced, they will soon run out in the market and price becomes unaffordable. Many positive actions that Australians can do to support the Heart of Borneo. You can encourage your friends and relatives to buy FSC certified wood products, ask at your local hardware store when buying paper or home furniture. Most supermarkets now carry products that are made with RSPO certified palm oil, be sure to use sustainable cooking oil in your kitchen. 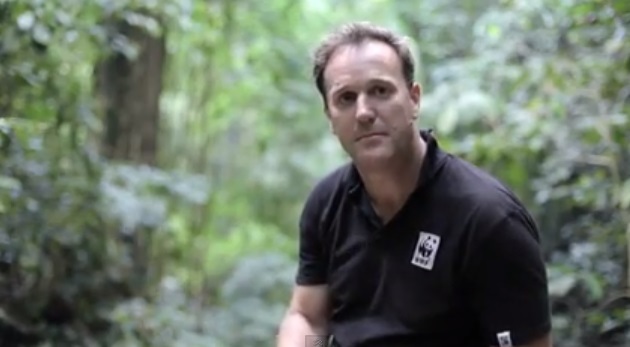 You can also support WWF-Australia’s Heart of Borneo Appeal. Everyone can make difference and your individual action can lead to a bigger and positive change that we hope to happen in the Heart of Borneo.